Some Bundles For Those Freakish About Fireworks And Flag Waving | "DESTROY ALL FANBOYS!" Yeah, that’s some nightmare fuel right there. If that game isn’t up you particular dark alley, you have a few more to choose from. You can even TRADE games now on IndieGala if you want to try out something else, so that’s cool as well. As for the Humble Bundle, read on, dear readers… read on. This deal is a GREAT one if you’re into games with strong female leads. While it costs more for this bundle, it’s WELL worth that twelve bucks for the variety of games here. That and you’ll get a copy of SUNSET, a game that didn’t at all get the sales and respect it deserved. I hate that when a company sinks off the scene because they worked hard on a project to make it commercial and the gamers stay away because they just don’t want to try something new. BOO. Well, now you can play this one and a few other games and kick yourself a tiny bit for not doing your part as a gamer who supports great indie content. Or heck, just play all the games in this bundle and marvel at them for the fun and loveliness they provide. I guess you can say Independence Day also means you can play what you want (and not worry about smelling like gunpowder afterwards). 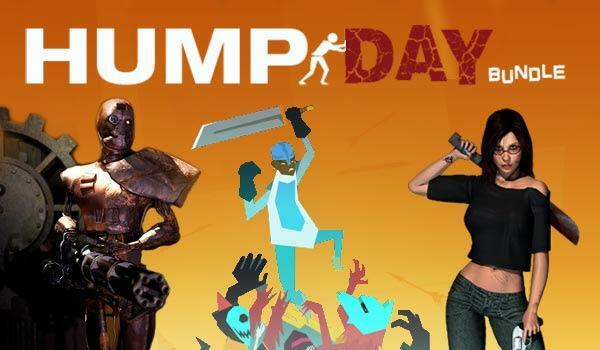 This entry was posted in 2015, Commentary, DAF, Features, Humor, Updates and tagged Bundles, Buy These Games!, Charity, DEALS, Digital Games, Downloads, Humble Bundle, Indie Games, Indie Gaming, IndieGala, PC, PC Games, Sales!, STEAM, Valve, VGA 101, Videogame Appreciation 101, Videogame Trailers by geelw. Bookmark the permalink.